On April 25, 2018, at approx. 0848 hours, an alert El Dorado Hills resident observed what she believed to be two young adolescent boys pointing a black handgun at each other. The resident immediately advised the Sheriff’s Office who responded to the area. The resident said the subjects were last seen on foot in the area but their current whereabouts were unknown. Due to the close proximity to Marina Middle School, deputies went to the school and briefed the district superintendent and vice principle. As a precautionary measure the Marina Middle School campus was placed in a “Shelter in Place” status at approx 0912 hours while deputies continued to check surrounding neighborhoods. At approx. 0950 hours, deputies located the involved subjects observed pointing the handgun at each other. 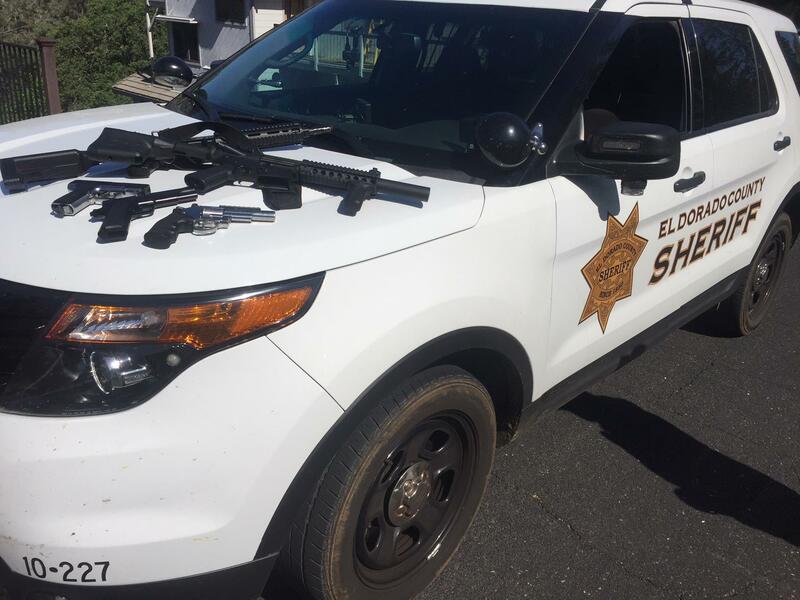 Deputies determined the subjects were performing martial arts gun safety and takeaway techniques with full size replica airsoft guns. The subjects were counseled for using poor judgement conducting such realistic training in the public’s view with no regard for public awareness. At Approx. 0956 hours, deputies advised Marina Middle School administration of the circumstances and that they could lift the “Shelter in Place” status. 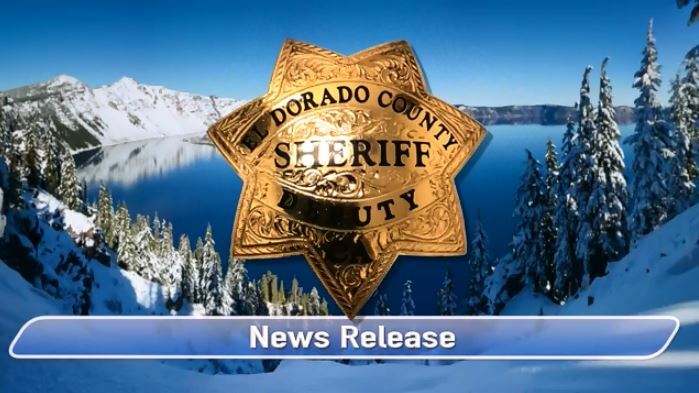 Sheriff John D’Agostini would like to respectfully invite all California Legislators to experience our “force option simulator training” at the El Dorado County Sheriff’s Office. The simulator gives participants a visceral experience of making split-second life and death decisions in the use of force, up to and including deadly force. The training device uses mock-up service weapons in a highly realistic audio/visual scenario. With the introduction of AB 931, there is a great deal of concern within law enforcement that the proposed changes, despite the bill’s intentions, could negatively affect the safety of the public and officers sworn to protect the public. The use of deadly force by California law enforcement officers is already a matter of last resort. Often a decision to discharge a weapon is made in seconds or less. We want all lawmakers who will consider proposed changes to use of force laws to fully understand the decisions law enforcement officers in California face every day. Sheriff John D’Agostini believes this invitation is vital to fully inform California’s lawmakers, whatever their position, as they debate this significant legislation. Failure to experience the perspective of those in the line of duty could result in an uninformed debate and have dangerous effects within our communities. We will schedule 4-hour training blocks with 10-legislators per session. California lawmakers, from the California State Assembly and California State Senate, will receive mailed invitations to the training which will provide information on the date and times of the available training dates. Media will not be allowed inside of the training, to give legislators the freedom of a full experience. 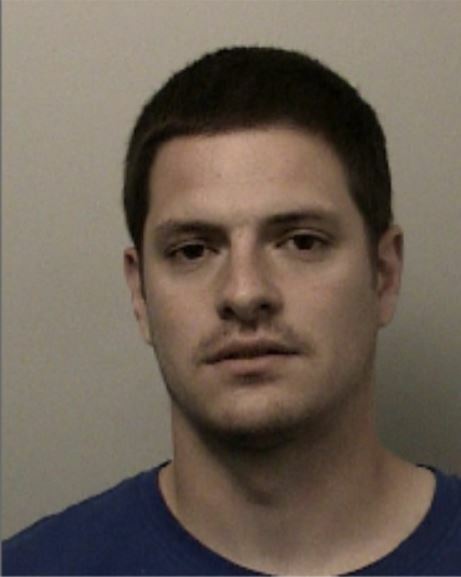 On March 29, 2018, in Department 7 of the El Dorado County Superior Court, Michael Ryan Wills, age 31 of Cameron Park plead guilty to illegally manufacturing concentrated cannabis, commonly referred to as Butane Honey Oil and illegally transporting / shipping marijuana across the United States. As a result of his plea, Wills was formally sentenced to 7 years. This conviction and sentence stems from multiple investigations over a two year period by El Dorado County Sheriff narcotics detectives with the assistance from the United States Postal Inspector’s Service. In December of 2015, Postal Inspectors intercepted a suspicious package that led them to Wills’ residence in Cameron Park where the Inspector’s found that Wills was operating an illegal Butane Honey Oil Lab within his residence, with children present. El Dorado County Sheriff narcotics detectives were called to investigate the illegal Honey Oil Lab. Wills was subsequently arrested by EDSO detectives for manufacturing a controlled substance, marijuana sales, and child endangerment. In May of 2017, El Dorado County Sheriff narcotics detectives opened a second investigation into Wills’ illegal marijuana activities after receiving a tip that Wills was continuing to manufacture Honey Oil from his residence. After a month long investigation which again included the assistance of the Postal Inspector’s Service, Sheriff detectives and Postal Inspectors executed a multi-location search warrant that resulted in Wills arrest for illegally transporting / shipping marijuana and Honey Oil across the United States. In all, detectives and Postal Inspectors seized over $40,000 cash, 479 marijuana plants, 300 pounds of processed marijuana and 2.5 pounds of Butane Honey Oil.